Presented by PNC Arts Alive with support from the National Performance Network as a part of “The Jazz Expansion Project,” this two night show will feature Aaron Diehl & Cecile McLorin Salvant. 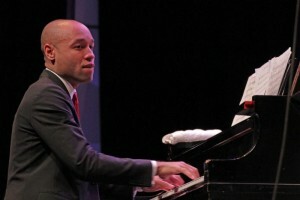 Columbus born pianist Aaron Diehl is one of the most sought after jazz virtuosos. His meticulously thought-out performances, collaborations, and compositions are a leading force in today’s generation of jazz contemporaries, spearheading a distinct union of traditional and fresh artistry. Internationally acclaimed jazz vocalist Cécile McLorin Salvant performs unique interpretations of unknown and scarcely recorded jazz and blues compositions. Born and raised in Miami, Florida of a French mother and a Haitian father. She enjoys popularity in Europe and in the United States.